First, let’s make sure the necessary packages are installed. 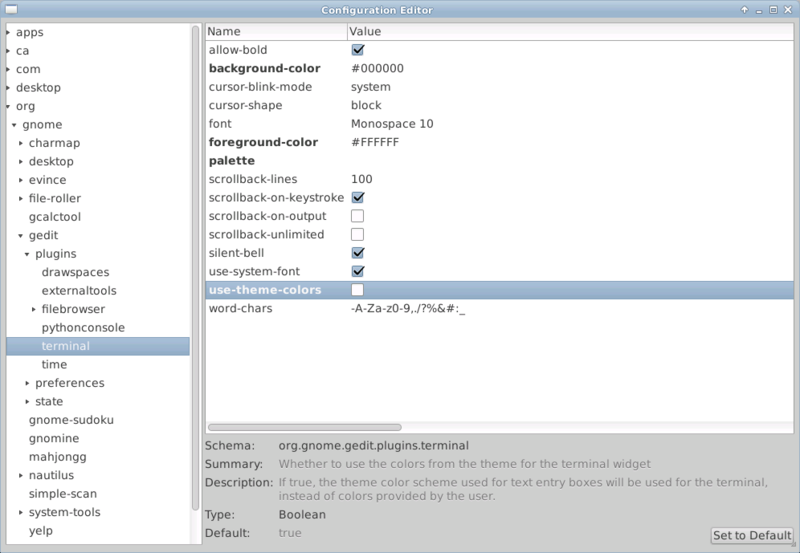 Launch gedit, enable the desired plugins including the bottom pane and the terminal. Take a look at how the terminal colors look – may not be pretty. Launch dconf-editor. Navigate to org -> gnome -> gedit -> plugins -> terminal. Make the below changes. Once the settings have been changed, close and relaunch gedit. The terminal colors should look more appealing now.